As Boyd and Caleb settle into their relationship, keeping it a secret might prove harder than they thought. Especially when Caleb’s family tries to meddle. Boyd’s determined to make his relationship with Caleb succeed, no matter what they must do to keep it a secret at work until they can transfer Caleb. The fact that Caleb isn’t freaked out over Boyd’s long-lost daughter, Ella, is more proof, to Boyd, that they’re meant to be together. Caleb never thought he’d find happiness—until a friend’s sneakiness brought him and Boyd together. But Caleb knows his family won’t be happy if they discover his secret. Between keeping the situation hidden at work, and avoiding his family, it’s stressful. Helping Boyd’s daughter is not only the right thing to do, it’s a great distraction. When Ella’s nearly killed, Caleb steps forward to help the man he loves by taking over to care for her, adding yet another complication to their already shaky situation. 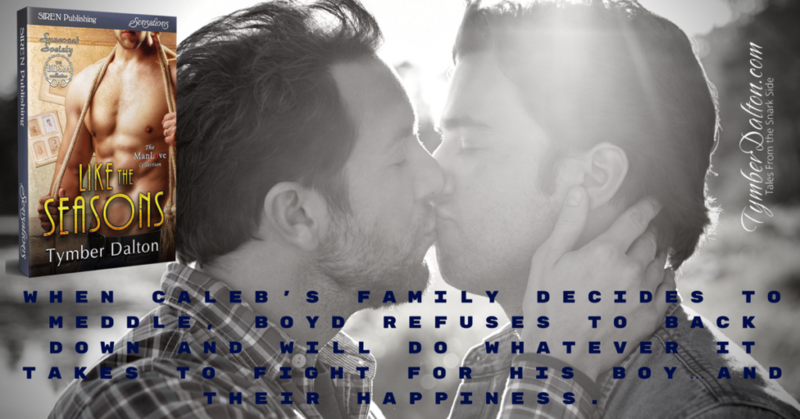 But when Caleb’s family decides to meddle, Boyd refuses to back down and will do whatever it takes to fight for his boy…and their happiness. Related Books: Boyd is first and briefly introduced in Steady Rain, and this book is a sequel to Indifference of Heaven. Kent’s story is told in Through With Love. 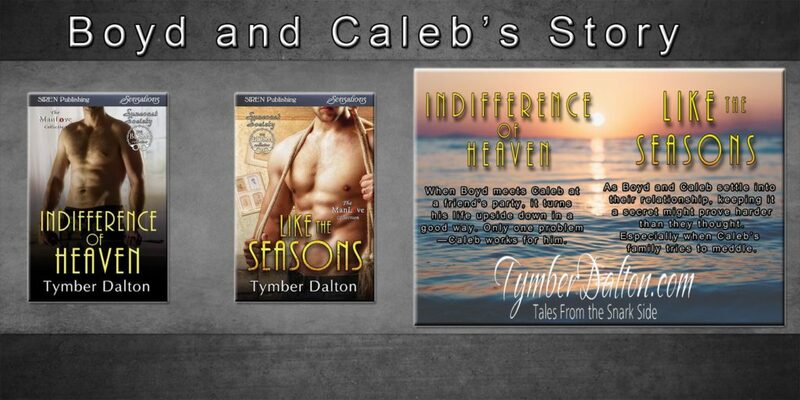 Like the Seasons by Tymber Dalton from Sunshine Reads on Vimeo.